The most notable results of BTEA’s representative offices over the last year are summarized as follows: the total number of inbound tourists from Russia’s office was 7,719 visitors spent BD 4,055,253 million, and the Russian office coordinated with a leading travel agency in Europe, Coral Travel, to operate charter flights carrying over 5,000 visitors to Bahrain. Additionally, the number of Russian travel agencies that organize regular trips to Bahrain has risen to reach 65 agencies compared to only 15 prior to the opening of the representative office. Tourists coming to the Kingdom of Bahrain through the UK representative office were 9,831 and spent BD 5,164,814. The representative office succeeded in establishing partnerships with 10 of the most prominent agencies in the UK market including: Expedia, Sothall Travel, Travelbag, Lastminute.com among others. All of these offices have managed to increase the number of travelers to Bahrain in 2018. Also, the total number of tourists from India reached 3,697 and their spending amounted to BD 1,255,833. BTEA continues to steer its efforts towards making Bahrain a prime destination for weddings, as the Kingdom witnessed a notable increase in Indian Weddings held in Bahrain following the inauguration of the representative office. BTEA strives to attract more tourists who want to host their wedding ceremonies in Bahrain. The Saudi Representative Office attracted 115,875 tourists whose combined spending total reached BD 23,360,400. KSA is considered one of the largest tourism markets. BTEA managed to collaborate with 150 Saudi travel agencies, as visitors from KSA comprise a huge portion of tourists in Bahrain and they include business and project owners whose businesses support the local GDP. BTEA has recently opened its representative office in Kuwait with an aim to establish partnerships and business relationships to develop the tourism sector in both counties and increase the number of visitors from Kuwait to explore what the Kingdom has to offer. BTEA will continue to work under its “Bahrain. Ours. 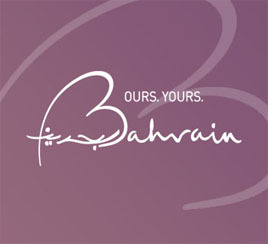 Yours.” strategy to expand its reach and open more representative offices around the world to achieve it’s plans to promote Bahrain’s tourism sector and make a achieve a qualitative shift and make a sustainable growth in the national economy. BTEA remains committed to implementing its long-term strategy and expanding on a regional and international level by launching representative office around the world, with an aim to develop the Kingdom’s tourism sector, further increasing its contribution towards the Kingdom’s economy.